Need a HVAC professional for your Duenweg, Missouri home? Trusted by homeowners across the Duenweg region, Barone's Heat & Air, LLC is an established leader for residential HVAC in Duenweg, Missouri. Starting back in 2009, our hard work and professional knowledge have helped Barone's Heat & Air, LLC become the contractor to call for your heating and cooling needs. Homeowners rely on their furnace and air conditioner for comfortable, safe living conditions in any kind of weather. The pros at Barone's Heat & Air, LLC have provided Duenweg residents with prompt installation, repairs and maintenance service on all types of residential HVAC systems, as well as on time service for air filtration maintenance and repairs. For a prompt response every time call Barone's Heat & Air, LLC. Ask for the long list of local references to discover how serious Barone's Heat & Air, LLC is about quality work. Our satisfied clients can be found across the Duenweg region, and no matter how small or large the residential HVAC project, Barone's Heat & Air, LLC works hard to maintain the highest level of quality possible. 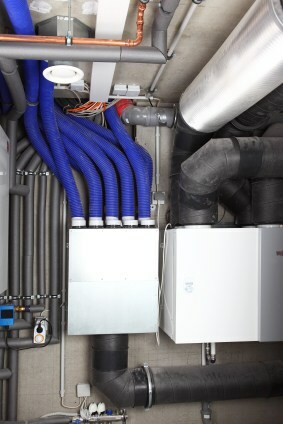 We work with the best manufacturers and provide extensive training to be sure homeowners in Duenweg have dependable HVAC systems. All of this expertise and prompt service is available for a reasonable cost when you call Barone's Heat & Air, LLC. We’ve built a reputation in Duenweg, Missouri for quality work at affordable prices, and will help you stay on budget for all types of residential HVAC projects. Barone's Heat & Air, LLC provides prompt, affordable service for residential HVAC in Duenweg, Missouri. Call (417) 232-0017 to arrange for an estimate and partner with the HVAC pros at Barone's Heat & Air, LLC.